Mobile HDR: where you can you actually find quality videos for your phone? HDR is the hottest video tech of the moment, as it makes colors look richer and contrast punchier, while the brightest areas of an image look far more natural. It's being pushed onto nearly every big-screen TV out there these days, and many brands are recording and streaming in the format, designed to let you see more of the action and improving the overall quality of what you're viewing. There are currently two main formats being used: HDR 10 and Dolby Vision, with each offering slightly different quality levels (but largely being the same to your eye). The good news is you can now get HDR content on your phone, with so many starting to support the impressive format. 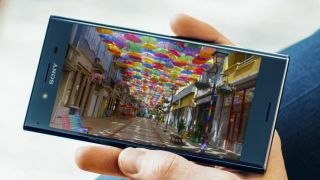 New iPhones have HDR screens, and so do many Androids, including the Samsung Galaxy S9, Google Pixel 3 XL, Asus ROG Phone, Sony Xperia XZ3 – and the tech has even started trickling down to more affordable models like the Nokia 7.1. The most popular paid streaming service is, no surprise, also one of the best for HDR content. Netflix added its first HDR videos in 2016, starting with the TV mini-series Marco Polo. As of November 2018, there were around 100 HDR movies and TV series on Netflix. The bad news: you have to pay extra for 4K and HDR. You get these higher-end streams with the $9.99 / £9.99 / AU$17.99 a month plan, not the £7.99 / $7.99 / AU$13.99 one. The good news: you can use four concurrent streams with this plan, which is particularly handy if you live in a shared house with people of differing tastes. The takeaway here is that the Honor 10 is the most affordable way to get mobile HDR. Head to the Netflix website to see the latest mobile compatibility list. Amazon’s video streaming service is not seen as the behemoth that Netflix is by some. However, it made the move into HDR early, before its arch rival. The first HDR titles were on the service way back in 2015, although Amazon Prime Video does seem to have fewer than Netflix at present. Spiderman: Homecoming, Moonlight and the Bosch TV series are some of the HDR highlights you can check out. The best thing with Amazon in the HDR game is you don't need to pay extra to get the quality. It’s $119 / £79 / AU$59 a year for Prime, or just $8.99 a month in the US or £5.99 a month in the UK for the video service without other Prime benefits like free Amazon delivery. Support for different phones isn't great, though. The Sony Xperia XZ Premium, Xperia XZ1, Samsung Galaxy Note 7, Galaxy 8, Galaxy 8 Plus and Galaxy Tab S3 are listed on the Amazon website. That’s it - you may find others will still be able to display it - although we wouldn't bank on it. YouTube is the best way to try out HDR video without paying anything. There’s a lot of HDR content on the service, and you can easily see in the app whether you're watching an HDR stream or not. While watching a video, press the three-pip settings button to bring up the video sub-menu. Under the Quality setting you should see the resolution of the video, and it’ll be followed by 'HDR' if it's a high dynamic range clip. YouTube doesn’t yet offer much in the way of navigation to help you find HDR clips. It may do when HDR phones are more common, but for now you need to take note of the channels that post a lot of HDR content. The HDR Channel is, not surprisingly, one of the best. This carries a decent amount of travel footage, which is added to regularly, and you’ll also find some gaming and promotional clips in its library. 4K HDR Media posts HDR clips from movies, for a completely different flavor. Some of the most downright pretty HDR content comes from Jacob + Katie Schwarz. This is the channel of a video production company based in Utah, USA, and it claims to have worked with YouTube’s own engineers to bring some of its footage to the platform. A lot of their footage is quite beautiful – it's our favorite HDR YouTube channel right now. YouTube seems to have the widest support for HDR phones too – if yours has a genuine HDR screen, it should be able to play the service's 4K content. Apple’s iTunes is not the cheapest way to get your movie fix. Just a couple of rentals adds up to the cost of a month of Netflix. However, it does offer great-quality streams for iPhone owners, including movies in higher-spec Dolby Vision HDR as well as HDR 10.
iPhones from the iPhone 8 generation and newer can display HDR and Dolby Vision content. Apple’s OLED phones make HDR content looks its best, as they have both the best peak brightness and contrast of any iPhone models – the iPhone XS Max is the obvious pick if you want the ultimate in smartphone HDR. You don’t have to pay extra specifically for HDR in iTunes. However, you're far more likely to find high dynamic range versions of newer films, which tend to cost more to rent and buy.